Trying to up your health and fitness game before summer hits? Don't worry! 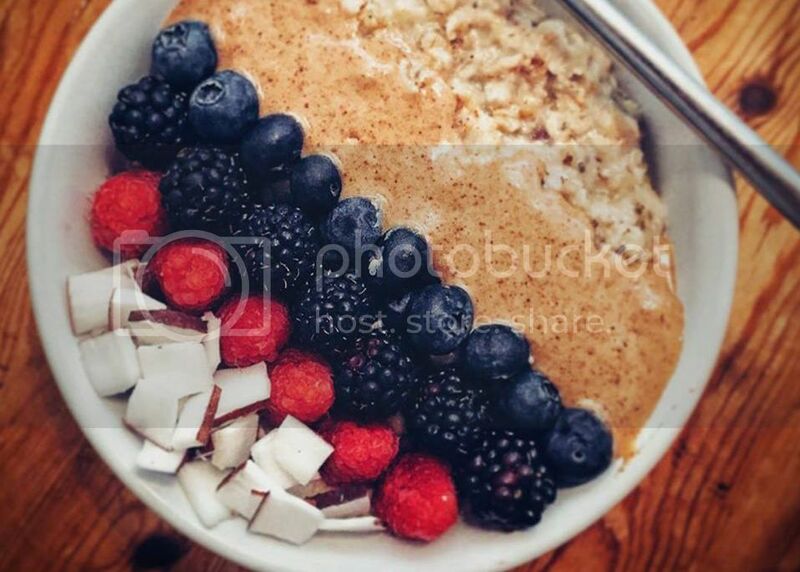 Eating healthy doesn't necessarily mean cutting sweet and salty snack cravings from your diet! 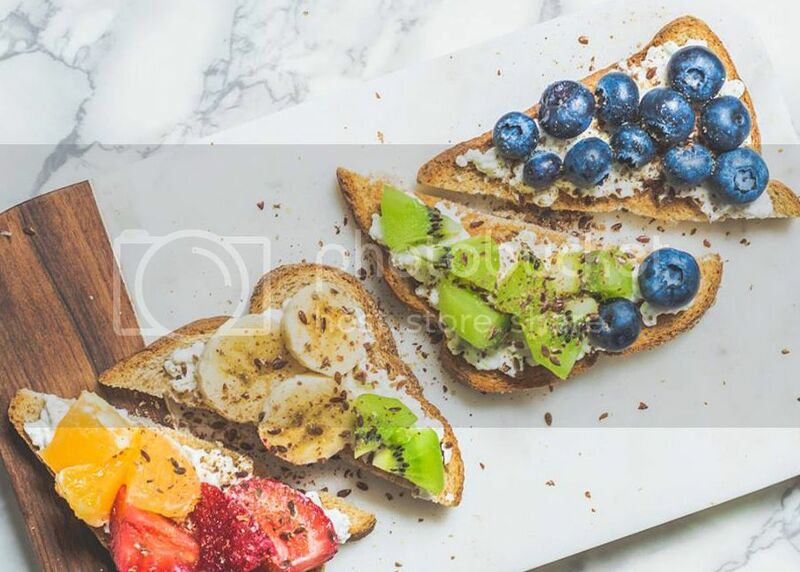 From office snacks to post-workout treats, here are a few healthy and easy snack options to replace those guilt-infused cravings. 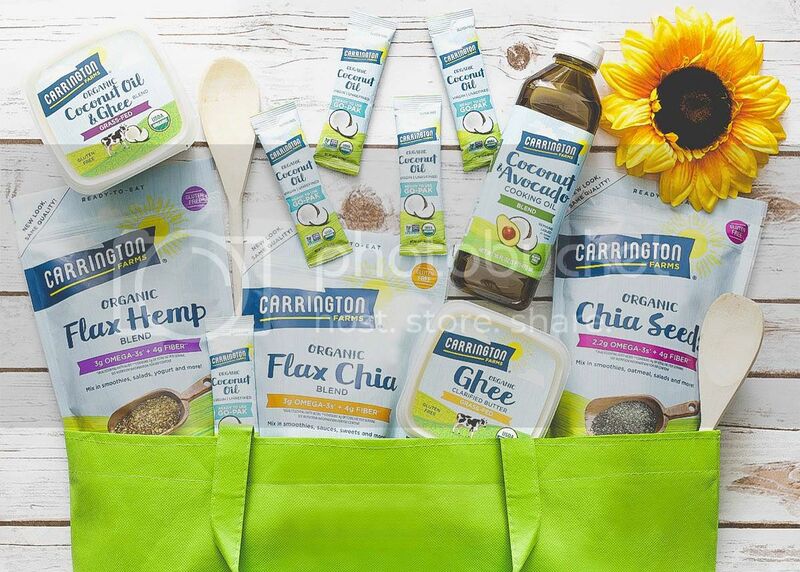 Perfect for smoothie-lovers, the Carrington Farms offers organic ingredients needed to make the ultimate smoothie, including an Organic Flax Chia Blend, Organic Coconut Protein Blend, and Organic Goji Berry Powder. Organic Flax Chia Blend is a combination of popular Organic Milled Flax Seeds with Chia Seeds resulting in a nutritious blend that is overflowing with a wealth of health benefits. 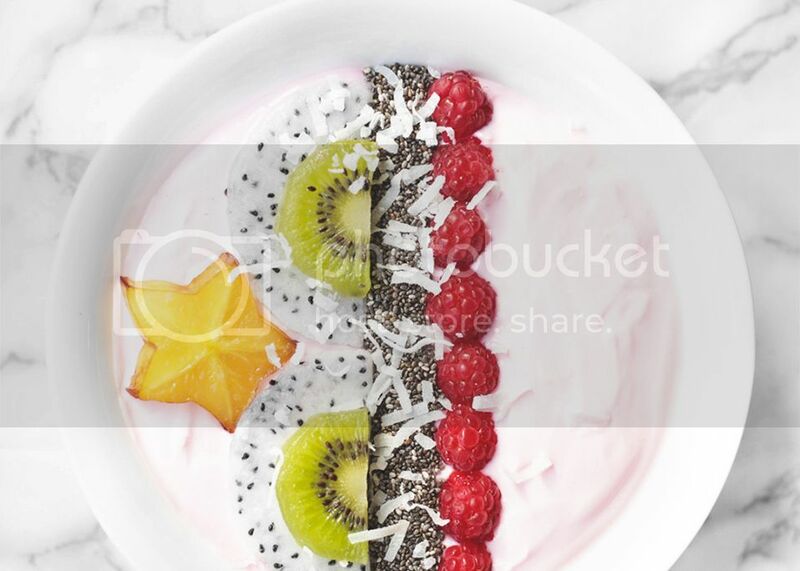 Chia seeds, low in carbs and gluten-free, are packed with Omega 3's, vitamins, antioxidants, protein, fiber, and minerals such as calcium, magnesium, and zinc. 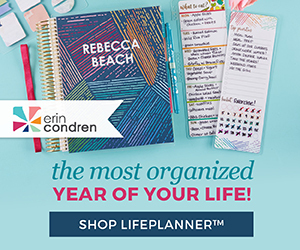 Organic milled flax products are also loaded with Omega 3's, fiber, antioxidants, and minerals, but have the added benefit of hormone balancing phytoestrogens called lignans, all of which help promote your healthy lifestyle. 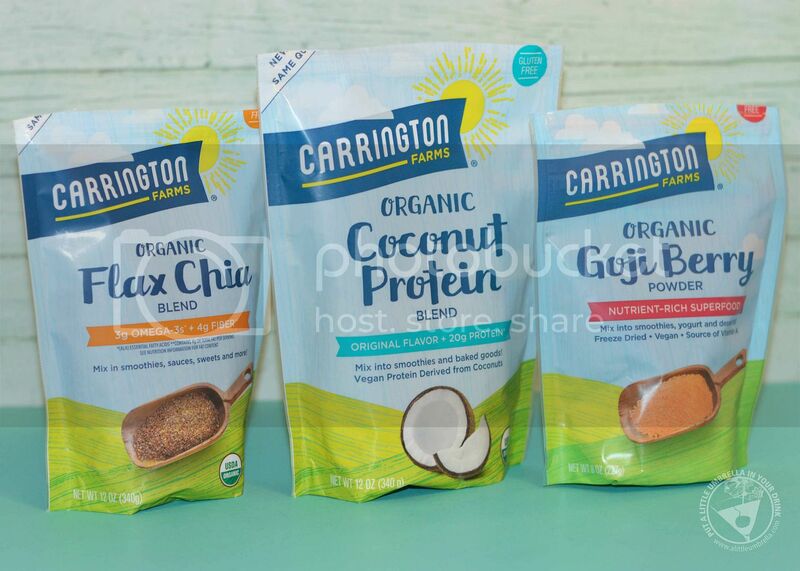 The Organic Coconut Protein Blend is dairy, soy, and lactose-free! It is packed with protein derived from coconut and plant-based proteins. Get a whopping 20g of protein per serving plus 8g of fiber. Boost your smoothies, shakes, baked goods with this winning combo. High in antioxidants, the Carrington Farms Organic Goji Berry Powder is a nutrient-rich superfood! 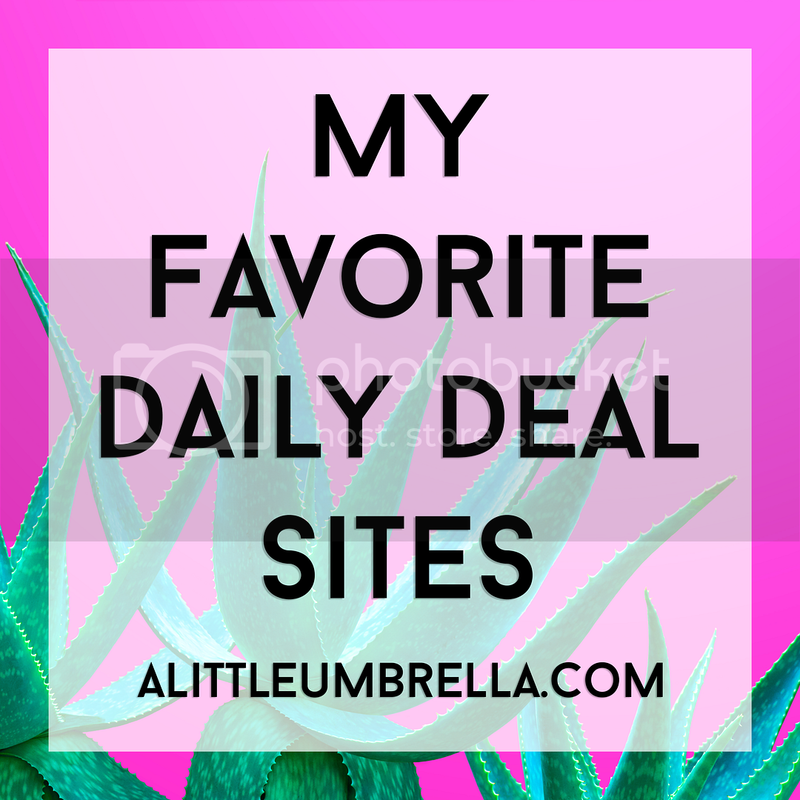 Mix some into smoothies, yogurts, desserts, and more. It can also be used to make a pleasant juice or tea. 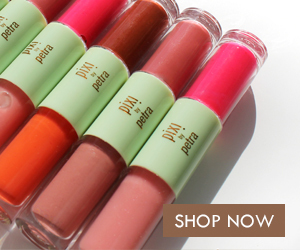 Containing vitamin C, vitamin A, and iron, it is also gluten-free and vegan. 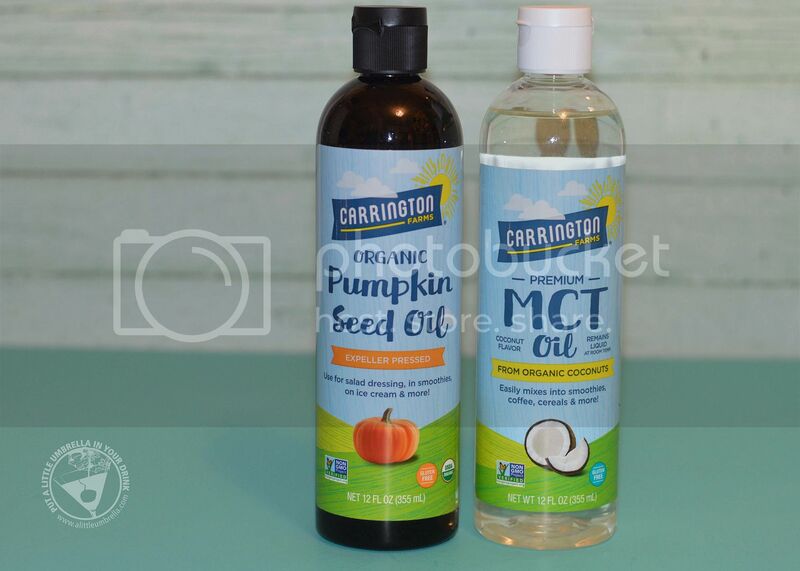 Also from Carrington Farms, I tried the Organic Pumpkin Seed Oil and the Premium MCT Liquid Coconut Oil. Organic Pumpkin Seed Oil can be used in salad dressings, smoothies, on ice cream and more. Made from cold pressed pumpkin seeds, it is 100% pure and rich in unsaturated fatty acids. Naturally rich in medium chain triglycerides, Premium MCT Liquid Coconut Oil is efficiently utilized by the body for energy production and helps aid in calorie burning. You can easily mix it into coffee, smoothies, cereals, and oatmeal because it stays liquid at room temperature. With 18g of plant-protein per cookie, Munk Pack Protein Cookies are a delicious protein bar alternative. Take them on-the-go to the gym or enjoy as a no-guilt dessert after dinner. Available in four flavors, these vegan and gluten-free cookies are soft baked and filled with fiber. 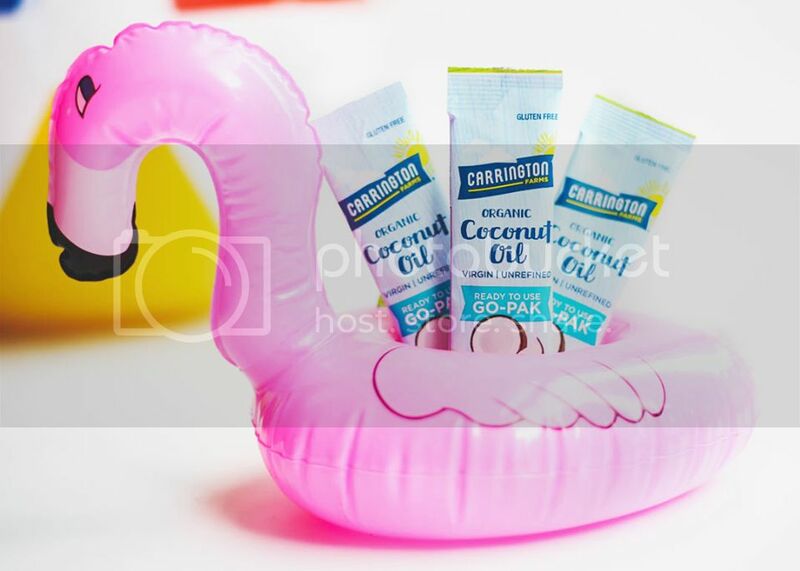 Take organic coconut oil on the go with the Carrington Farms ready to use go-paks! 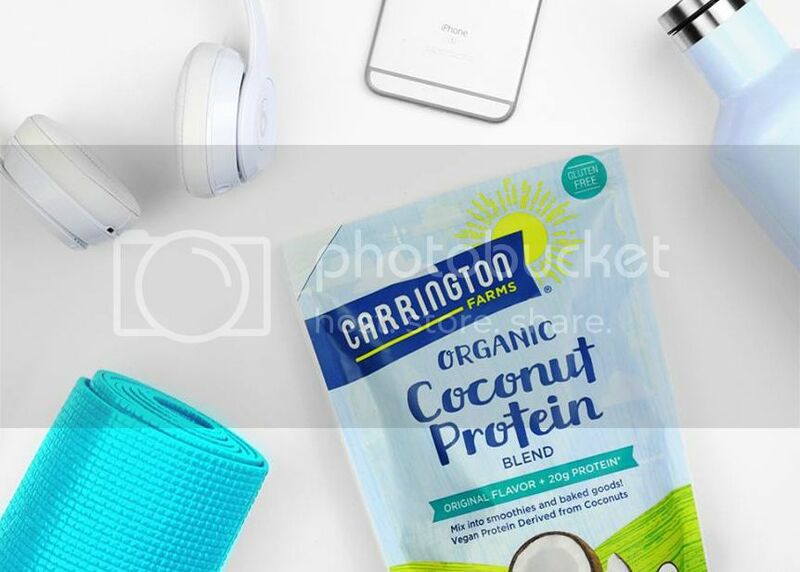 Preportioned in convenient single-serve packets, Coconut Oil Paks are perfect to add to coffee, smoothies, oatmeal, or to saute vegetables. I love using coconut oil to make my popcorn! 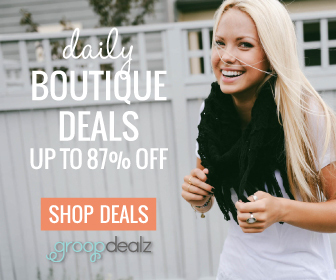 Full of beauty benefits, it can even be used in hair for conditioner or as a natural skin moisturizer. It is ready-to-use with no refrigeration necessary. 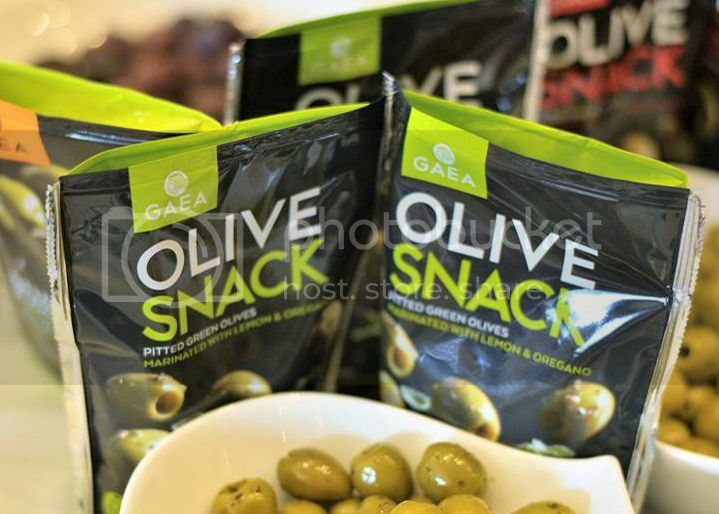 Packed in a re-sealable pouch, Gaea Olive Snack Packs offer 100% natural and liquid-free olives, harvested from the finest olive groves in Greece. It is the 1st olive snack in the world without preservatives or additives and the lowest salt content. This great source of dietary fiber and copper is also rich in vitamin E and contains mono-unsaturated fatty acids and polyphenols. Liquid-free and full of authentic Greek flavors, it’s a delicious and a perfectly healthy, low-calorie snack. 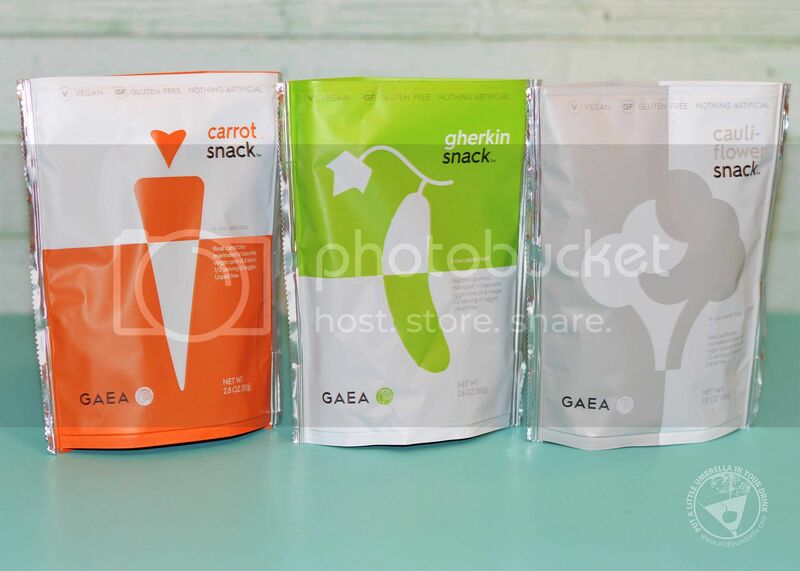 If olives aren't your thing, Gaea offers carrot, gherkin, and cauliflower snacks too! 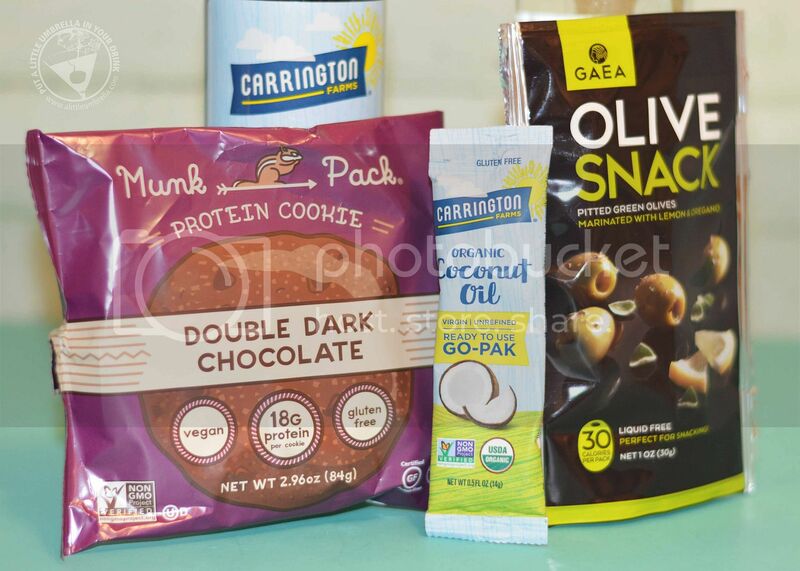 This line of veggie snacks are the first shelf-stable on-the-go vegetable snacks. The packs are designed with convenience in mind with a re-sealable, liquid-free pouch. 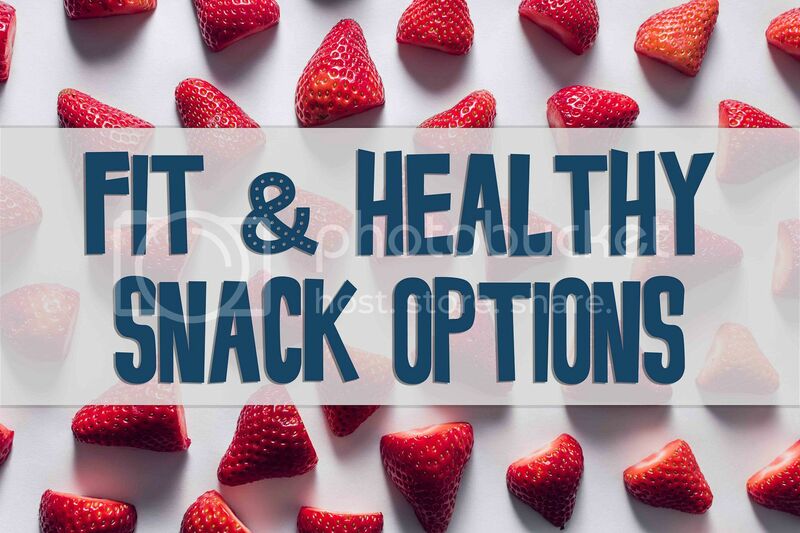 Which fit & healthy snack option would you most like to try?